Traveling without making a single mistake is only something that happens in movies, or TV shows. You’re bound to forget something, or pay too much for something else. But don’t worry, we’ve all done it! Though it’s never 100% guaranteed that everything will go smoothly, there are a few things you can do to avoid the most frequently made travel mistakes. So, whether you’re traveling to your parents’ house for the weekend, or taking off on a safari in Africa, you’re bound to find yourself in a less than ideal predicament! When focusing on things like wildlife travel, ecotourism, and trying to travel sustainably, the odds something will happen out of your control goes up even higher! There are several positive impacts of ecotourism, and in trying to plan a wildlife holiday, it may be difficult to keep yourself from making these reoccurring mishaps! In order to help you out on your next journey, here are a few tips for avoiding the five most common mistakes in planning a wildlife holiday! Packing Up and Forgetting Something! Eco-friendly razors, brushes, toothbrushes, etc. Other items that help to conserve the planet you can pack! Any of these items will be an excellent during any exciting wildlife holidays you and your family will want to go on! But when it comes to packing all of those things, and everything else you’ll need for your journey, it’s pretty common to forget something! So whether it’s a pair of socks, or a heavy jacket for your Alaskan wildlife tour, it’s going to happen. There are a few things you can do to keep the forgetfulness to a minimum. Make a list, pack your suitcase one to two days before you leave, and have an out the door list as well! By making a thorough list, you will not only be able to pack all of the essentials for your Bird Watching Tour in Morocco, but you will be certain if you forget anything. Packing early will help you to remember everything you may have forgotten to put on the list, and gives you enough time to put it in your suitcase. You’re out the door list is simply items that you’ll need to use up until you leave. Things like your deodorant, phone charger, hairbrush, etc. Making these lists and packing early are all excellent ways to avoid leaving something behind. Packing too little, or too much isn’t the only problem you can find yourself with before you leave your home. Another common mishap travelers make when planning a big trip like going on a Jaguar Holiday in Brazil, is that they try to book everything separately. Hotels, flights, train rides, meals, everything mismatched and booked separately can be a huge pain. Finding an agency or company to help you book an all-inclusive journey will not only help you to avoid the headache of trying to find all your reservations at once, but will also allow you to focus on other things. Since you won’t be hunting last minute in a strange town in Brazil for your dinner, you can simply ask where on the safari journey it’s most likely you can keep to your diet, perhaps even adding a few superfoods and other tasty treats! Don’t book your flights, trains, transfers, meals, hotels, tours, etc. separately! Save yourself the headache on this common mistake by booking everything together with one trustworthy company! One of the most budget un-friendly things you can do when traveling on a wildlife tour is not making the proper plans for currency exchanges! If you’re on your way to Ecuador and the Galapagos Islands, then you’ll need to be certain what type of money they will take on your two-week cruise! Certain wildlife holidays are keen to stay on nature preserves, or further away from banking facilities, so know what you’ll need money wise! Not only knowing the currency, but knowing where it’s the least expensive to exchange it is also helpful. Don’t waste your money paying extra fees exchanging your money in the airport. Plan ahead, find a bank either in the country you are traveling too, or in your local area that will make the exchange for a less expensive fee. This will save you time, money, and won’t cause problems on your holiday! Also be certain, if you’re going to use your debit card or credit card, to inform your bank that you are traveling. No need to have your card canceled, or face absurd amounts of transaction fees when you get home! Traveling in general can be difficult if you are leading a more environmentally friendly lifestyle. Having to pack your own utensils, or bring along your other non-plastic items can sometimes be a challenge. 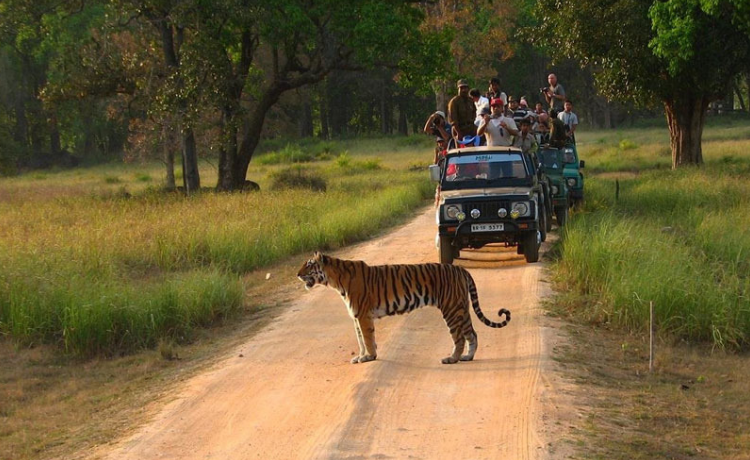 But one slip-up that people often make when taking a wildlife tour is forgetting to respect the ecosystem around them! Whether you’re checking out Provence in the Spring, or finding your way through the Huachuca mountains in Arizona, there are steps that you need to take in order to help preserve the natural habitats of the wildlife you observe there. Tour guides are generally extremely specific about what needs to be done and their advice should always be listened to. Don’t litter, damage the plant life, or try to hunt/feed the animals you see. Not only will this help to preserve your destination for future generations, but it will also make your holiday more enjoyable! Be respectful of surroundings and those animals and birdlife that inhabit the area. Mother nature doesn’t always play along with what you have planned. A common mistake when planning a wildlife holiday is going in with expectations set way too high. You’re not going to see a whale every three minutes in Alaska, and you may not see more than one lion in Botswana. By going in with your expectations too high, you’re bound to make yourself disappointed. Adjust your plans according to how the trip is unfolding before you. You didn’t just buy the first set of eco-friendly luggage you found, you did the research, you waited for a sale, and you changed your expectations after finding out new information. Be flexible, be patient, and keep your head about you while on your wildlife holiday! Avoiding These 5 Common Mistakes and Having the Wildlife Holiday of your Dreams! These five common mistakes while planning a wildlife holiday can easily be evaded! Whether it’s making a packing list and checking it twice, or knowing exactly what kind of currency they accept on your wildlife cruise, you know exactly how to keep your wits about you. Enjoy your wildlife holiday to its fullest by following these simple tips on how to avoid these common traveling mistakes!